Happy Friday, guys! It’s the last Friday of 2016, and I am super glad to kiss this year goodbye. Let’s endeavor to stay strong, stay focused, stay positive, and stay supportive in 2017. In the meantime, let’s close out 2016 with a look at what I’ve been reading in fifteen words or fewer (because it’s winter break and I’m on vacation). Caletti’s writing is beautiful, and Mads and Billy are heartbreaking. A fun, British-fueled romp toward the apocalypse. I need a miniseries now. I guess I’m the kind of person who reads sports writing now. Yay running! 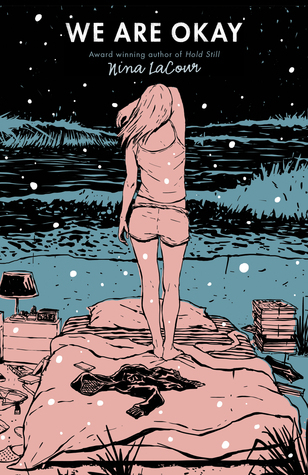 Exciting story that explores the layers beneath tropes of magic girls and dark forests. So the WIP’s not fantasy, but I had to work in a dragon reference somewhere, right? 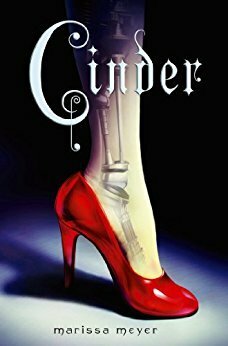 I’m a sucker for YA novels that are inspired by fairy tales or folklore or mythology. Give me an old tale with a new twist and I’m there. And tales that deviate from the standard Disney princess category? Even cooler. 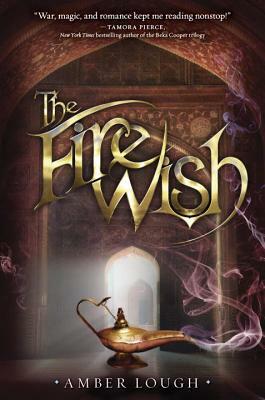 The Fire Wish by Amber Lough involves a world of jinni and princesses and mistaken identity and it is awesome! Here are a few of my reasons why you should read The Fire Wish. Najwa’s a jinn training to be a spy–basically all worlds that are already awesome. But I also love how Najwa is sensitive and thoughtful, even when she swaps bodies with a human and has to conceal her identity to protect herself, the jinni universe, and the humans around her. In a novel with two points of view, you’d think it would be easy to forget which narrator is which. But as much as I loved Najwa, I also loved reading Zayele’s chapters. Even though she’s the human side of the story, Zayele is bold and fierce and strong, and has a deep love for her family. She makes mistakes and acts desperately at times, but her flaws round her out nicely as a character. And speaking of Zayele’s family, Rahela was a character I didn’t expect much from but I ended up loving her, too! She joins Zayele on her journey to the palace in Baghdad, and becomes a source of comfort and friendship for Najwa. Friend characters in YA without any personality irk me, and it was so refreshing to see Rahela come to life as her own character, with her own quiet strength. I like my folktale adaptations with a healthy dose of romance, and The Fire Wish delivers with not one, but two adorable love interests. Swoons, guys. Okay, so I like complicated family situations in novels. But it was so heartwarming/heartbreaking to read about Zayele’s devotion to and guilt for her younger brother, Yashar. Also loved seeing both Zayele and Najwa’s complicated relationships with their respective parents, and what kind of expectations are placed on them as daughters. Even though there’s so much awesomeness from magic and worldbuilding here, it’s so nice to see the grounding of things like family and all that implies. 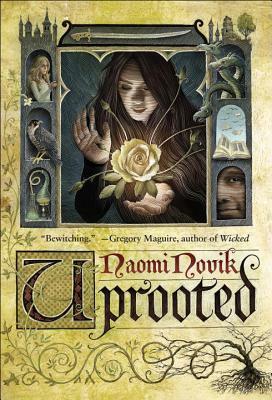 While I love fairy tale retellings, many of them are based on European stories. It’s so refreshing to see a novel based on Middle Eastern mythology. Beyond that, Amber weaves in cultural history and social norms for characters like Zayele–she wears a hijab, prays to Allah, and generally feels like a Middle Eastern girl growing up near Baghdad centuries ago. Similarly, also cool to see a handsome prince character who isn’t white. 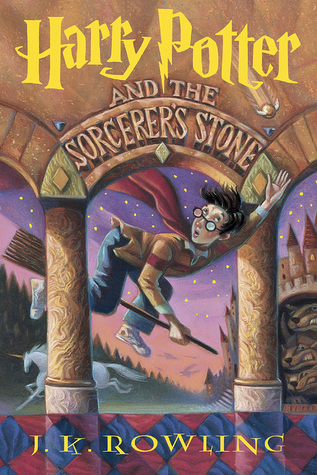 These kinds of things matter to teen readers who don’t usually get to see characters like themselves in novels, much less exciting novels about magic and spies. 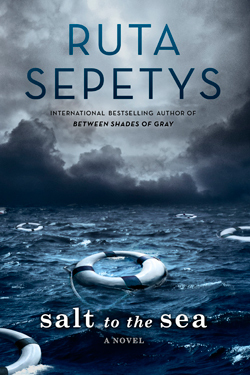 And speaking of exciting novels, this is one I couldn’t put down–danger at every turn, mistaken identity, war brewing, villains plotting, new love threatened! Amber Lough is a fellow Fourteenery member, and I’m constantly in awe of her intelligence and kindness and talent and strength. 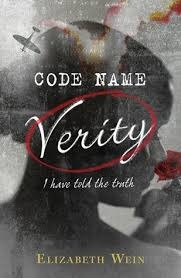 She’s a master of languages, has served in the military, and writes awesome books. Keep an eye on her, folks. The Fire Wish is now available, so go check it out at your local bookstore! To put it mildly, Nolan’s going through a tough time. He’s been flashing to a fantasy world whenever his eyes are shut, and to everyone around him, it looks like he’s having seizures and hallucinations. Despite the pressure he’s under in both worlds, Nolan is a sensitive person who deeply cares about other people. He’s a character you can’t help but rooting for. Similarly, Amara’s under a lot of pressure (trying to keep a princess’s magical curse at bay, having Nolan live inside of her, etc.). It’s hard enough to craft one layered main character, but Corinne’s managed to create two. Amara is brave and conflicted and passionate, and easily feels like a classic fantasy heroine. With two main characters merged together in one body, Corinne brings up interesting questions about what it means to truly exist and own your body, and what kind of control we have over our own lives. There are a couple of super creepy, intense moments. Don’t want to spoil anything here, but oh my gosh, stakes get raised on both sides of reality. And even then, I liked seeing how the ‘villains’ and challengers were developed; they were all trying to find some kind of peace, even if it came at another’s expense. I took ASL in college, so I have major respect for signing as a language. It was really cool to see sign incorporated here as Amara’s method of communication, without it necessarily being a story about a signing experience. Nolan is dealing with seizures that take him into Amara’s world, and Corinne includes the reality of that kind of situation–the danger of having a seizure, the difficulty of trying to find medication to help, how expensive working with doctors and medications can be. Along with excellent character development and concepts of self, Otherbound includes some good old fashioned excitement. 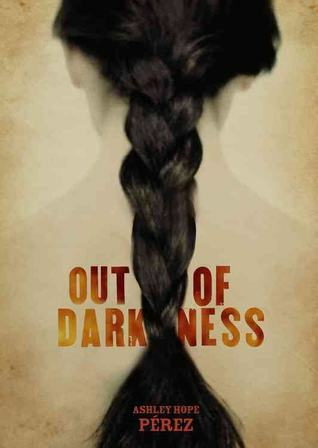 Amara and Cilla are on the run from people trying to kill them and, on yeah, there’s a deadly curse to worry about. Nolan has a hard enough time as it is in the real world without having to deal with stuff like the lines of worlds blurring. Otherbound features a wonderfully diverse cast of characters. Obviously Nolan’s dealing with seizures, but he also has a prosthetic leg and is Latino. Amara signs, and is also a WOC and loves a man and a woman (and both relationships feel genuine). None of these features become an “issue” (as in old-school after-school-special “issues”) and are instead just the way these characters exist in the world–which is how it should be. If I were going to invent a superhero, it would probably be pretty much exactly like Corinne. She lives in Holland; she writes awesome books and makes awesome art; she’s extremely active in speaking out for diversity in children’s/YA literature (see Disability in Kidlit); and she currently has pink hair. I’m so glad to have gotten to know Corinne through the Fourteenery, and I’m psyched that now readers are getting to know her, too. 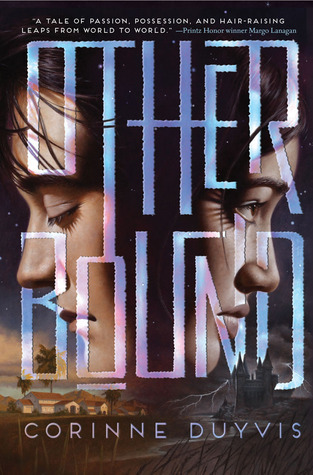 Otherbound is now available in all kinds of stores, so go pick it up! Kyra is a smart, complex heroine who’s confronted with major moral choices–and I mean major. I don’t want to do into too much detail here because hello spoilers, but I loved seeing her grapple with doing what’s right and doing what can help her (and the people she loves) survive. Fight scenes and chases may pull a reader along at breakneck speed, but they are so hard to write. Major kudos to Livia for constructing exciting scenes and compelling action scenes that also move the plot and develop the characters. Because of this awesome action, I’m inspired to go do cool things like rock climbing. You know how Katniss inspired a lot of kids to take up archery? I’m thinking Kyra will do the same with climbing. Let’s count all the minor characters I loved in Midnight Thief–Flick and Bella and Lettie and Idalee and Brendal and Pashla and James and oh my lord, everyone. Even if they get less page time than Kyra and Tristam, they’re all well-crafted characters with rich lives of their own. Seriously, guys, I’m ready to start writing Flick fanfic. Midnight Thief has some romance, but it comes naturally from the characters and doesn’t feel like an unnecessary addition to the plot. I love seeing this in YA–characters getting to know each other and falling for one another gradually in a way that makes sense for who they are as people. Kyra’s in the middle of a struggle between the palace and the Assassins Guild and the Demon Riders–and can’t really trust any of them. I love that each side makes valid points about its reasoning and still has major flaws. It’s not an easy case of good vs. evil, and that makes for some awesome conflicts for Kyra. Livia’s crafted a cool world in the Forge and its surrounding areas. The city, with its walled-off class-restricted areas, feels real and I love the glimpses at the world beyond (especially through songs and traveler’s tales). The world feels expansive without wasting a lot of reader time mapping things out. On her Goodreads page, Livia said Midnight Thief is an “homage to the medieval fantasies I grew up reading…notably, Tamora Pierce’s Song of the Lioness…” I definitely got that sense reading Midnight Thief and I mean that as the highest compliment. Just like I fell in love with Tortall and Alanna, I’m already attached to Kyra and her life in Forge. 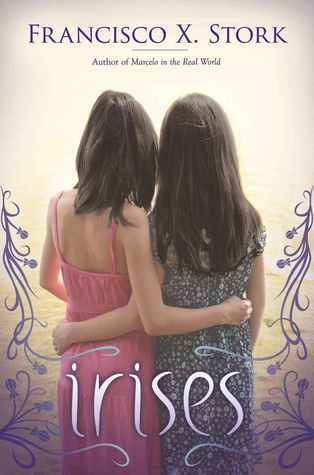 I’m so excited that there are new readers who get to grow up with both Alanna and Kyra. Things Livia Blackburne knows about: neuroscience; jujitsu; writing awesome fantasy novels. In Fourteenery email threads, you can count on her to share useful information and hilarious quips. If she were also secretly a wizard, I wouldn’t be at all surprised. My reaction to finishing Midnight Thief: “Wait…no. More pages! I want more pages!” Fortunately, Livia’s got me covered–she’s written a prequel to Midnight Thief! Poison Dance is a prequel novella about James, who’s captivating in Midnight Thief as the leader of the Assassins Guild. Even better–it’s available right now. So go buy it already! Midnight Thief is due for publication in 2014, so make sure to add it to your Goodreads list. Plowing through my “mid-read” pile this afternoon. Glad I can finally put these back on the shelves! 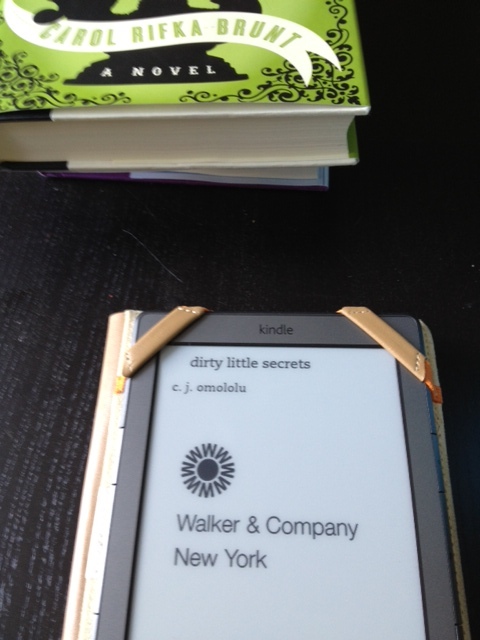 Review #3: I was a little less than halfway through Dirty Little Secrets when I picked it up for #48HBC. 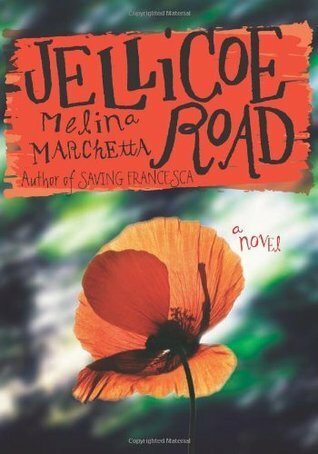 It’s one I’ve meant to read for a while, since it deals with a big family secret and a mother with some emotional/mental problems (in this case, hoarding). My heart broke for Lucy through this one, as she feels a strange hope in getting to move on with her life if she can just clean out the house. Omololu manages to make Lucy’s mom into a real person, not just someone defined by her hoarding, and I liked those glimpses of her outside of the house (at work, as a child). I also liked that crush-worthy Josh Lee is revealed to be dealing with his own family problems; I love that “everyone has secrets” theme and it’s one I tend to use in my own work. 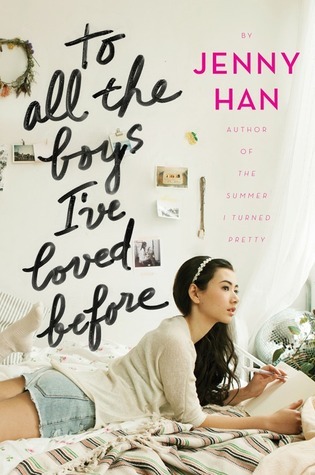 The ending felt a little rushed for me, and I would have liked a little more of an emotional build there, but overall a great read for anyone interested in YA contemporary family drama. 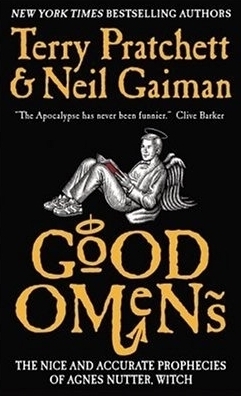 Review #4: I was almost at the end of Jonathan Strange & Mr. Norrell, and so glad to finally finish this one. 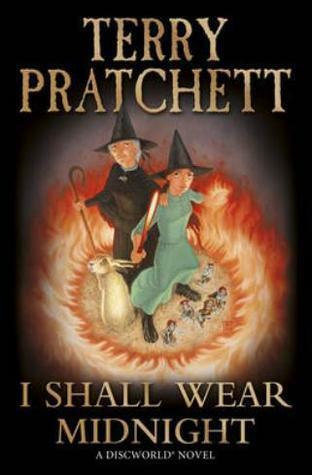 It’s a tome, so even though I started it a while ago, I’d inevitable leave it at home and take another book with me. 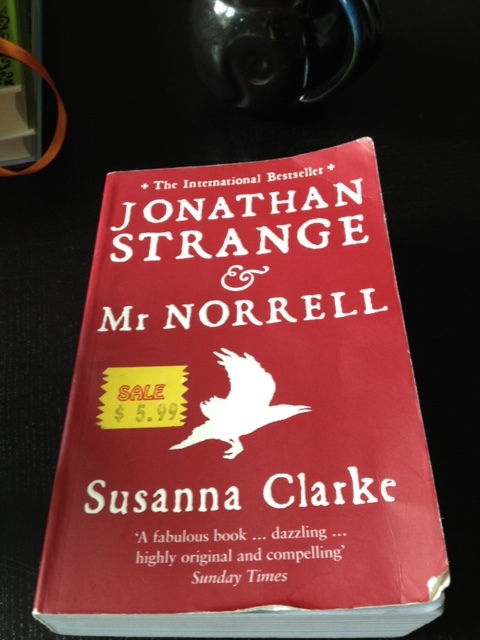 Then I’d want to finish the other book and, well, Jonathan Strange & Mr. Norrell suffered for it. But it’s an excellent novel–fake British history plus magicians is a winning idea, and Susanna Clarke gets the tone perfectly. 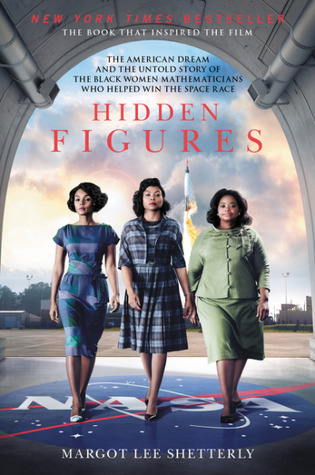 I loved seeing the various plot threads eventually come together, and the ending is surprisingly bittersweet. By now, you’re probably already obsessed with the Lizzie Bennet Diaries. (All. The. Feelings!) But we’re winding down in the P&P plotline–Lizzie and Darcy have come to feel more about each other; Jane and Bing have reconciled; and Lydia has overcome the potential scandal of the heinous Wickham. I was really sad to imagine an end in the near future. Fortunately, it looks like we’ve got another modern literary web series to latch onto–starring a few favorites from LBD! Although A Game of Thrones might be set in a medieval-ish fantasy world, looks like things translate pretty well to a contemporary high school setting in School of Thrones. I especially like the retro-hipster Starks. Is it weird that this might actually inspire me to read beyond the first book?